My first errand this morning was meant to be a quick visit into a convenience store to pick up some AA batteries for my flash on my way to the conference. It turned out to be yet another wake-up call to the situation in Zimbabwe when I almost failed to get some. The Spar, a shop which in Zambia would obviously have them, just had a few of the Made-in-China-type which get exhausted with just one flash, and they were not even in any original wrapping! Finally, I had to settle for rechargeable ones which I found in a shop much later and I paid a leg and an arm for them. Today was the first full day of the 2010 Sola 5 annual conference. The day’s meetings finally started at 10.00 hours. 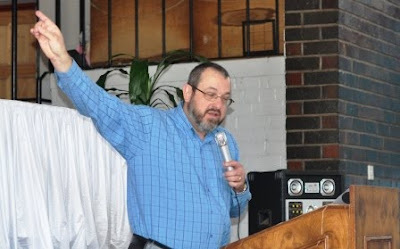 Jeff Gage (shown above), the pastor of Free Grace Baptist Church in Boksburg, South Africa, led the worship. Theo Soko (shown below), an elder at the Reformed Baptist Church of Harare brought God’s Word to us. He appeared weak and the big white bandage on the right side of his face was a bit of a distraction to begin with (sort of feeling sorry for him) but as he went on we soon forgot the sight and got carried away with the message. He preached from 2 Timothy 3:1-9 on “The sinful nature of man”. He began by pointing to the African tendency of blaming the escapades of children on the spirits of the ancestors whom they are named after. He stated categorically that these escapades are because children are born with a sinful nature. It all began with the Fall of man in the person of Adam as recorded in Genesis 3. Theo then took us to the text and expounded it as an illustration of human sinfulness. Paul’s description of men as lovers of self, lovers of money, proud, boastful, abusive, disobedient to their parents, etc., was graphically explained and illustrated. Again and again he stated that this was not because of national traits or bad upbringing in certain families. Rather, it was because we are all born sinners. 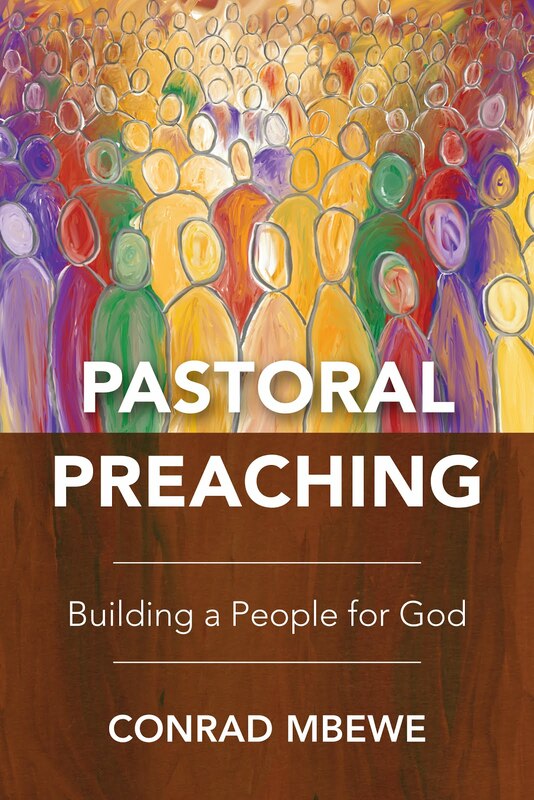 Theo pointed to the gospel as the power of God for salvation. The gospel alone has the power to transform our sinful hearts into God-honouring hearts. He appealed to those still in sin to repent and come to Christ. After the sermon we were dismissed for lunch. While waiting for the meal, I took a walk around and found a small booktable under a tent and the only books there were those authored by Peter Masters. The young lady (shown below) who was doing the selling could make you buy ice-cream on the North Pole just by her warm and friendly smile! After lunch, we went into the Annual Business Meeting (ABM). Christo Beetge (shown below), who is the chairman of the Sola 5 Steering Committee, chaired the meeting. There were 18 member churches present, with 3 sending in apologies. Then there were about 5 other churches that were represented but were not yet member churches. New church membership applications and existing church membership renewals were dealt with. 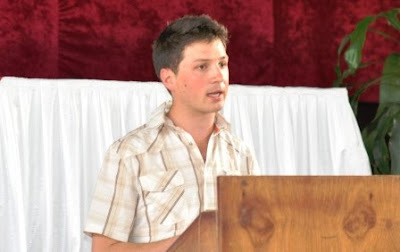 Clinton Stone (shown below), who had just finished training at the London Theological Seminary (LTS), shared with us about his return and the need for God’s leading for a field of ministry. 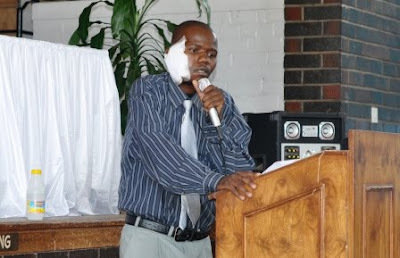 Lewis Kabika from Trinity Baptist Church in Livingstone also shared the same burden. These two, and others, were prayed for. Bruce Button (shown below), the Principal of the Sovereign Grace Theological Seminary (SGTS), also shared with us about the work of the SGTS. 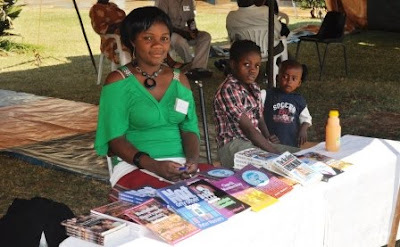 He reported on his family’s move to Lusaka and the integration of the Zambian Reformed Baptist Preachers College into the SGTS. He mentioned the involvement of the Zambian pastors in lecturing and the need to expand the full-time faculty. The SGTS presently had 38 students. Bruce finally spoke briefly about the Copperbelt Ministerial College upon request from someone in the congregation. Isaac Makashinyi prayed for SGTS. 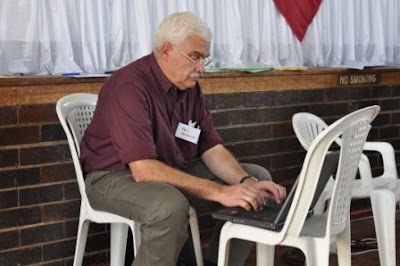 We went through the accounts and then Hein Strauss (shown below working hard taking minutes on his laptop during the ABM) shared about the e-newsletter and the Sola 5 Chronicle. He was encouraged with the work that he is doing by a number of people who spoke after his presentation. It was clear that the communications department of Sola 5 was doing a good job! There were four steering committee members that had to step down as a matter of policy. Two were willing to serve if re-nominated. As it turned out, they were re-nominated, while two new names were added. 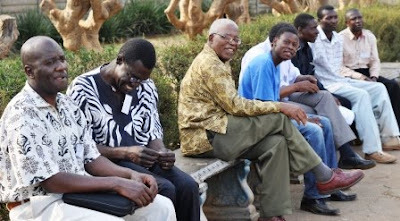 So, the new Sola 5 Steering Committee for 2010-2011 comprises: O B Macwele (Swaziland), Kobus van der Walt (South Africa), Christo Beetge (South Africa), Ronald Kalifungwa (Zambia), Conrad Mbewe (Zambia), Grave Singogo (Zambia) and Joachim Rieck (Namibia). The ABM also decided on the venues for the Sola 5 conference for the next few years. Livingstone was chosen for 2011, Swaziland for 2012, and Namibia for 2013. 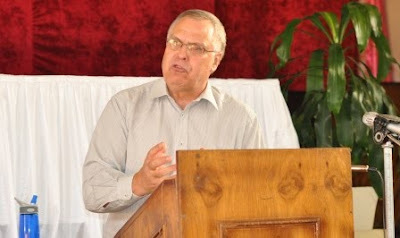 Finally, thanks were given to Hein Strauss for his dedication to the administrative work of Sola 5, and Pastor Joseph Soko and the church in Harare for hosting the conference. After an hour’s break (spent chatting together, as can be seen in the photo below), we commenced the last session of the day. We started at 16.00 hours instead of 17.00 hours because of the electricity problem we faced yesterday. Even if that did not reoccur, we had since noted that of the twelve fluorescent tubes in the meeting hall only one was working! Christo spoke about Brackenhurst Baptist Church’s missions efforts in India through their missionaries. 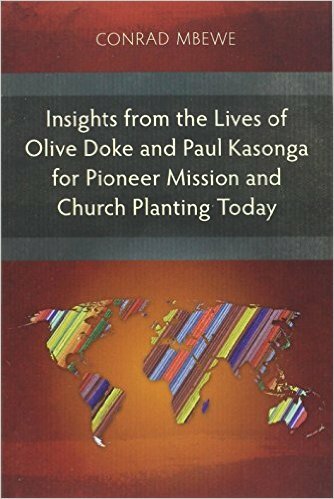 He also mentioned two more church planting efforts that are being investigated within Gauteng Province in South Africa. 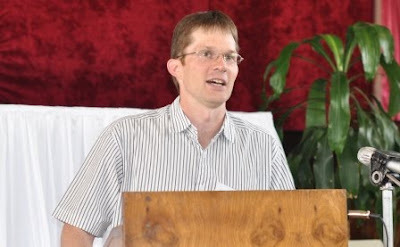 Carel Pienaar (shown below) shared about two church plants outside Cape Town that are being done by Goodwood Baptist Church. He also mentioned a project where one of their members who lectured at the Cape Town Baptist Seminary had started mobile theological classes through which he had centres in Mozambique where bi-vocational pastors were coming for training. 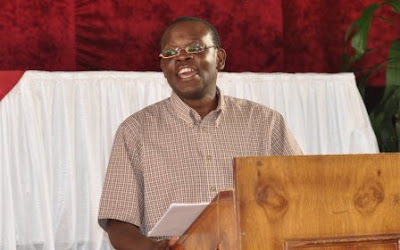 Isaac Makashinyi (shown below), the missionary pastor at Emmasdale Baptist Church in Lusaka, Zambia, took over the podium and led us in worship and then handed over to Kobus van der Walt, the pastor of the Antipas Church in Vereeniging in South Africa, who read Ephesians 1:1-14 and preached on “The Specific Nature of Salvation.” He brought a number of vital truths about grace that we needed to know in order to appreciate the grace of God. All human beings are by nature totally depraved. They are actually dead and hostile towards God. Hence, they are objects of God’s wrath. Each person is accountable to the Creator who does not allow any sin to go unpunished. Sinful man is by no means able to save himself. It is totally impossible! God is free to save whom he wants to save. It is his right as Creator (Rom 9:20-22). Hence those who get saved receive what they do not deserve. All sinners deserve hell. 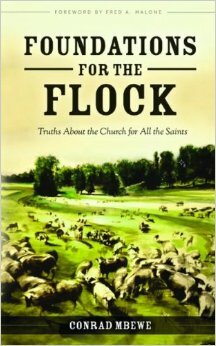 The specific condition in which a sinner is has nothing to do with whether he receives grace or not. God’s saving grace is eternal. Kobus (shown above) went on to delineate for us the various roles of the three persons in the Godhead. The Father chooses, the Son dies to secure the salvation of those who were chosen, and the Holy Spirit applies this salvation to the hearts of the chosen ones. 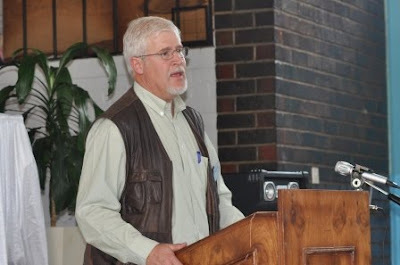 Kobus ended by saying that although the Jews of the first century were guilty of the cruel death of Christ, it is us—the elect of God—who nailed him to the cross. His death was deliberate because of the elect whom he wanted to bring to heaven. So, this truth ought to keep us humble. Amen! Isaac Makashinyi then led us in singing “Rock of Ages” as we closed the conference for today.